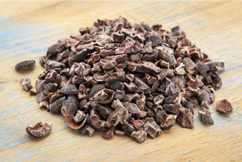 A cacao nib is the heart of the cacao bean with the seed coat and germ removed. It's where cacao's true flavour develops; to be enjoyed without its flavour being influenced from the parts of the bean that have been removed. 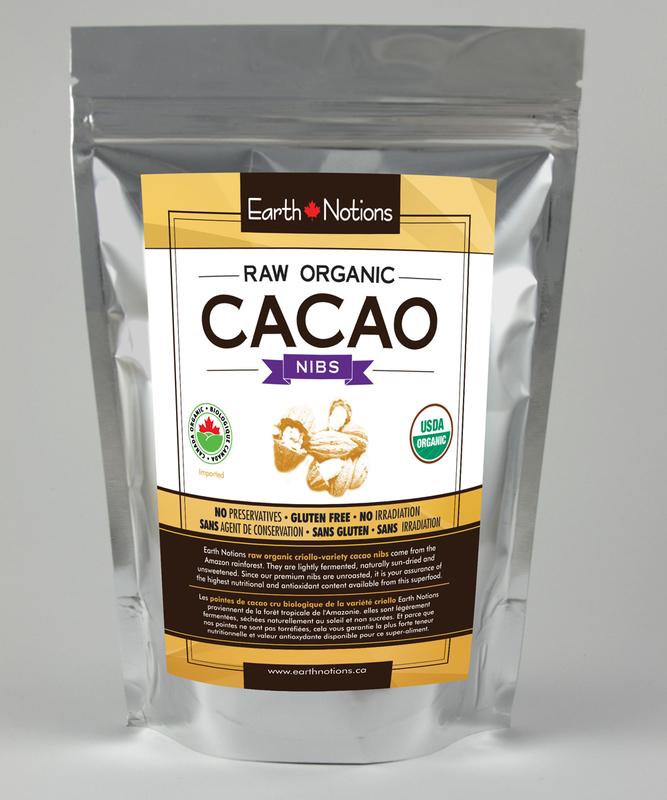 Like our wild-crafted cacao beans, they are unprocessed (i.e., not roasted) for a true raw food experience. The beans undergo a four-day fermentation period, are sun-dried, "nibbed" (separated from their seed coats and germs) then the remaining cacao pieces are packaged for you to enjoy. Taste: Bitter, but less tannic than the whole cacao bean. 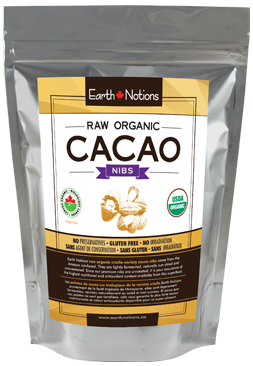 How to Enjoy: Enjoy these cacao nibs the same way you would our cacao beans (pretty much any way you want!) Their ready-to-use state and small size, make them ideal as an ingredient in both your no-bake dessert and baked goods recipes. 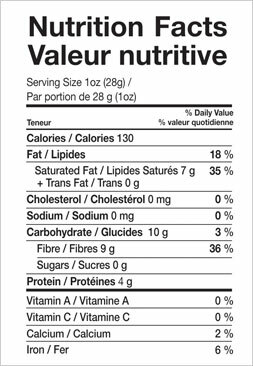 They're a great substitution for baker's chocolate and the natural choice over sugary, over-processed, nutrient-depleted commercial chocolate chips.